Well, both tyre and wheel component on your car or 4-wheel-drive work collectively to facilitate movement of your vehicle. People at large aren’t aware of this critical connection, which makes it possible for your vehicle to cruise smoothly and safely at great speeds. LET’S UNDERSTAND THE CONNECTION BETWEEN THE WHEEL AND TYRE. The tyre is the final product that engages meticulous research and development to make dependable contact with the road for mechanical traction and makes it possible to drive in dry and wet conditions, with adequate tread depth. By itself, a tyre does not have the load bearing capacity or structural firmness to hold and carry the vehicle on its own. Thus, the wheel (aka rim) enters into the picture. When the tyre and wheel come together, they can jointly carry the vehicle’s load with the strength of the wheel and the compressed air held inside the tyre and wheel component. The tyre is fashioned in such a way that it perfectly fits with a wheel and integrates a bead arrangement so that the wheel and tyre blend as a unit. Tyre’s base sits partly below the edge of the wheel, instead of exclusively over the wheel unit. Therefore, when the tyre is inflated, it keeps the bead rested on the rim and in place. This is the precise reason when the driver continues driving on the flat or punctured tyre, the flat tyre can come out of the bead and then from the wheel. The contact patch of the tyre touches the road including distinctively fashioned tread pattern. This footprint revolves around when the car moves. Moving towards the centre of the tyre, and down the sidewall below, you can spot a cross section, tyre’s carcass. This tyre section often includes Kevlar, nylon or steel belts and is vital for the strength under the load of driving, cornering and braking during your trip, to make your ride smooth and comfortable. Next, the tyre can be found fixed to the wheel at the inside of the tyre’s circle, its smallest diameter. Maintenance includes regular checks for accurate wheel alignment and wheel balancing. Check tyre’s inflation at regular intervals so that they perform at their optimal efficiency all the time. Never carry on with cracked wheels, as you could be moving towards low tyre inflation levels. No doubt, you should immediately use your spare tyre when one of your car tyres gets punctured or flat. However, make it a point to have your flat tyre repaired at the earliest juncture. Wheel Alignment: If your 4WD’s wheel alignment is not as per wheel’s manufacturing standards, then it might be dangerous to drive your vehicle. Hence, it is important to inspect your vehicle’s wheel alignment promptly for safe driving. Thus, it becomes all the more important to know about the significance of wheel alignment. 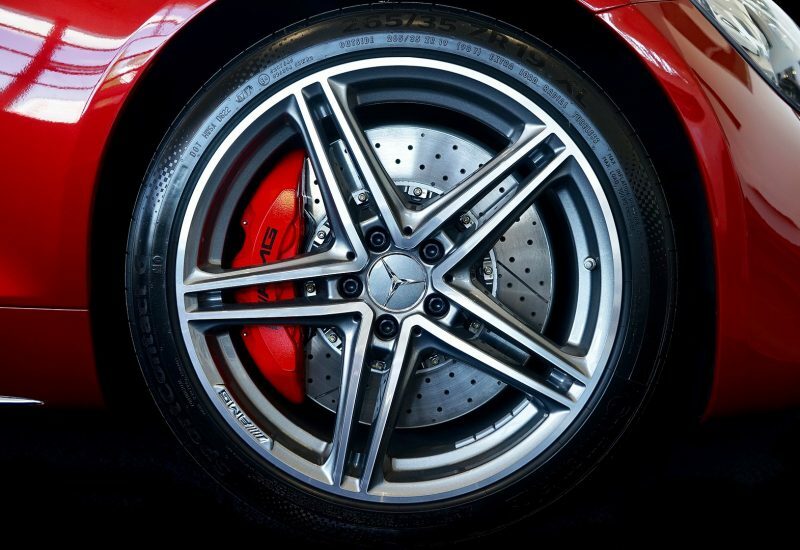 Wheel Balancing: A wheel balance makes sure that the wheel and tyre weight is spread out equally. This is achieved by rotating the wheel on a balancing machine that diagnoses the strength of the wheel. Uncover why wheel balancing is crucial. Tyres and wheels are indispensable parts of a vehicle that not only aids in rendering optimal performance to the vehicle but also safeguards your family and other people using the road. Hence, tyres and wheels should always be maintained fittingly to make sure they function appropriately, at their optimal standard. If you are looking for professional and experienced hands for your 4WD’s tyre and wheel repair, then straightaway get in touch with reputed tyre shop in Sydney.